I can’t quite believe that the year is nearly up, I know it’s said quite often but I really don’t know where this year has gone! This week I have vowed to make sure we get out for fresh air after school before the darkness sets in. 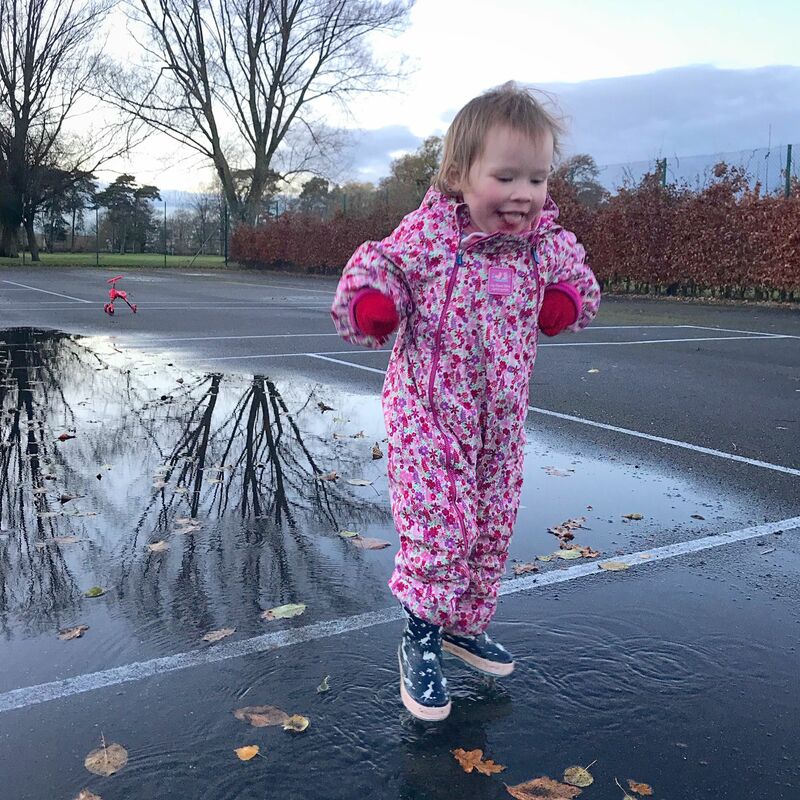 We’ve had a few puddle walks and a few loops around the block on bikes to blow the cobwebs away and help little lady to sleep at night. She did her first proper jump this week! We had a school Christmas Fair later on Friday evening, I wasn’t sure what to expect as it’s our first one at this school and I was wanting to just batten down the hatches for the evening and stick my pj’s on. But Daisy, Teddy, Grandma and I really had a lovely time. Teddy’s determination and concentration to try and win on the tombola and hook a duck was so cute. He came away with two bottles of wine and a small selection box! It didn’t go to plan…. "The Hair Helper Review~Organising our Christmas hair accessories."